As a reward for reaching 925k likes on their Facebook page Blizzard have made good their promise and released a new piece of Diablo 3 artwork. 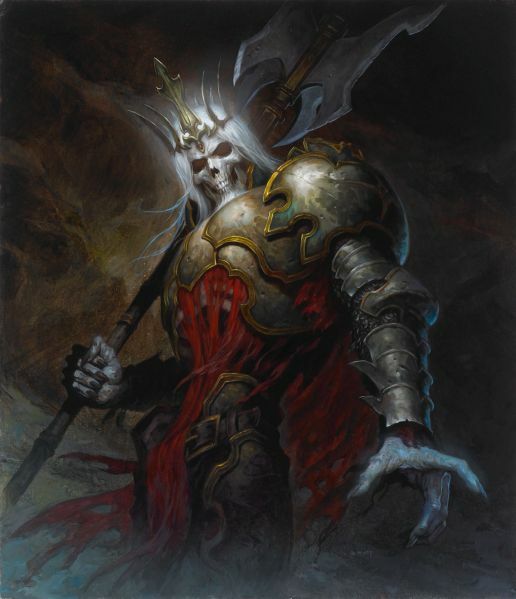 It’s of Leoric, the Skeleton King and thankfully comes in a high resolution so you can easily check out the detail of the image. 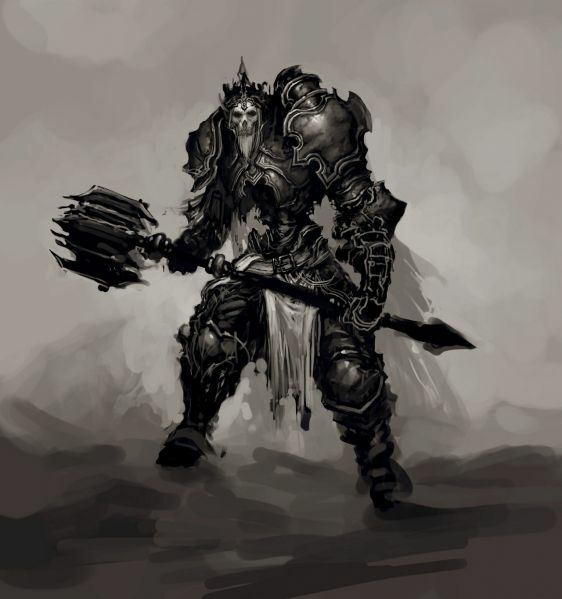 The new concept art is the image on the left below. To the lower right you see a much more polished artwork of the Skeleton King, and the thumb to the right is a vision of him in-game. It’s interesting to trace the design evolution between the different versions, as you see how many of the fine details from the original concept art were preserved and enhanced in the actual modeled creature. 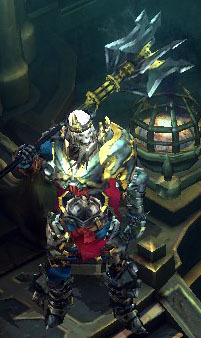 We saw Leoric as the final boss of the Blizzcon 2008 demo, and much of his battle with the Wizard was presented in that year’s gamplay movie. The monster might have been tweaked or modified a bit since then, but I’d be surprised if many changes were made, as good as he looked then. Click the images to see them in full glorious detail. The two below come straight from the Diablo III Monster art gallery. Update: Bonus joy comes to us all courtesy of Caniroth, who has already created a new, creepy-green dungeon wallpaper featuring this Leoric artwork.